WordPress 3.3.2 Out With Security Fixes - Upgrade Now! 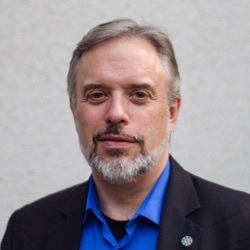 As an author of multiple technical books, and a prolific online writer, I care a lot about intellectual property issues as they pertain to my content. On one level, you might think I would be extremely concerned about people stealing and re-using my content. And don't get me wrong... I am concerned. I choose distribution licenses carefully and I have pursued those who have scraped my content to simply wrap it in ads. But I do NOT see "DRM" as the answer. As a reader and as an author, I truly hate Digital Rights Management (DRM) for ebooks and look forward to the day when it ceases to exist. 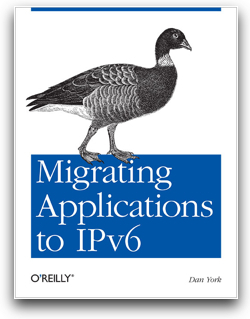 My latest book, "Migrating Applications to IPv6" was published DRM-FREE by O'Reilly and I plan to publish all future books DRM-free as well. DRM starts from the premise that all readers are slimeballs and thieves. That they will steal a book rather than pay for it. That readers are inherently untrustworthy and need to be monitored, policed, checked. Is that really the relationship I want with my readers? Do I really think that all my readers are crooks? With a printed book, as a reader, when I buy a book, it is mine. I have a piece of dead trees that I can read wherever I want. In a chair. In bed. Outside under a tree. In the bathroom. On a train. In a hammock. In a car. At night. In the morning. Beyond that, I can give my book to someone else. I can lend it to a friend. I can let my wife read it. Or my daughter. Or my mother or father. I can... (gasp)... sell that book to someone. Or I can donate it to a library or church or book sale. It is my book, to do with it as I will. With "ebooks", the argument is that they are so much easier to pass around. That because it is electronic bits, the book can be emailed or otherwise sent to people. It can be published on websites. It can be sold by people other than the author/publisher. It can "escape" from the control of the author and publisher. All of which is true. But is DRM really the answer? Is treating all people as thieves and locking down the content really the answer? Now, granted, there is a grain of truth in there... some readers will steal a book, but would they have paid for it in the first place? Some people will steal paper books from bookstores and libraries, too! Some people will steal books from other people. Some people are thieves - but just because of that, does it warrant treating all people as thieves? ... you can't take your books with you! They are locked to the Kindle. Now, yes, you can use the Kindle "app" on your PC or other device (like an iPad), but you are still locked in to Amazon's Kindle ecosystem. This is the beauty and genius of the whole scheme from Amazon's point of view. Make it super-simple for people to buy and read ebooks... and get a whole generation of people locked in to your ereader platform. And then Amazon gets to use its power as platform to bully publishers and authors so that in the end Amazon gets higher profits. If pretty much the only route to readers winds up being through the Kindle ecosystem, then Amazon gets to dictate how your ebooks get distributed - and at what cost. Authors get screwed. Publishers get screwed. Ultimately readers get screwed. But Amazon makes a healthy profit. Lest you think I am purely anti-Amazon, I'm not... they're just the biggest. Barnes & Noble's Nook, Apple's iBookstore, the Kobo reader... any of them can equally lock you in with DRM... and all of them would probably love to have the kind of lock-in that Amazon has right now! With DRM-free ebooks, we can read them on whatever platform you want - and change ereaders and devices. We are not locked in! Want to see how badly DRM screws up the reader experience? Check out these instructions for how to get started with ebooks that you borrow from your library - specifically take a look at these slides about how to borrow ebooks with a Nook or Sony Reader. You have to be seriously committed to wanting to borrow ebooks to go through all these steps! It's crazy! And then to have to go through many of those steps each and every time you want to borrow an ebook? And all because libraries must include DRM in order to make the books available to their readers. This kind of complexity exists with DRM ebooks... except of course for the platforms that make it so insanely easy, at the price of locking you in. Maybe someone's coming up with a reader that will let you display the contents of an ebook inside a pair of glasses so that you could just be sitting there on a train reading a book with just your glasses on. The inventors and entrepreneurs of the world can be out there doing all this... but then the moment they want to make these products publicly available and working with all ebooks... BOOM... they run into the issue that they have to deal with DRM on ebooks! That means licensing someone's DRM-reading software. ... and probably kills any type of business model they may have. Goodbye insanely amazing reader... it will linger on the side as something that can work with DRM-free content like Project Gutenberg books, O'Reilly books... and those from a few other publishers who have gone DRM-free. Why not make it so that the inventors out there can do anything with ebooks? Why not get rid of the DRM so that they can figure out new and amazing things to do with ebooks? People are buying zillions of ebooks right now. More from some publishers than print books. It's a new space... everyone's excited... everyone's doing it. It's incredibly convenient. Sooner or later, though, readers are going to figure out that they are getting royally screwed. They will figure out that they don't "own" their DRM'd books. That they have effectively leased them. That they can't use them on other computers or ereaders. They will be pissed off, angry. And they may stop buying... or at least changing their buying habits. Why set readers up for failure? Why? Why not make it so that they can keep buying and buying and buying? I know that I personally would buy far more ebooks if I knew I could "own" the ebook. I believe that ultimately more people will be in this mindset. This is admittedly where it gets a bit tricky. In my case, the kinds of books I have written so far are informational and for more niche technical audiences. I don't expect to ever get rich from them. I don't expect to pay my mortgage, send my kids to college, or anything like that. I might get a few nice dinners out of the proceeds or maybe buy a new computer... but that's about it. I'm realistic because there are only so many people out there who really care about things like IPv6 or VoIP security. I write to help people understand topics. I write to contribute to the discussions going on. I write to help people learn. So if someone really couldn't afford to buy my ebooks, can't get them in their region because of distribution issues, or can't borrow my ebook from their library, I'm personally okay if they wind up getting the book somehow. For me getting the ideas out there is most important. I realize that some authors (and more importantly publishers) may be entirely profit-focused and want to squeeze every single penny out that they can... and so they have a different view. The point, though, is that DRM prohibits these ideas from spreading where they wouldn't have gone. I guess I go back to my comments at the beginning - I believe that most people are NOT thieves... and if they have the opportunity to purchase an ebook in the channel of their choice for the ereader of their choice at a reasonable cost, they will do so. I believe DRM is not the answer and that there are other ways and means to pursue those who violate intellectual property rights and copyrights. I don't want a world in which we are locked into specific ereader platforms. I want readers to be able to purchase - and own - my books. And as a reader, I want that kind of trust relationship with authors and publishers. Ask publishers and authors if you can get their ebooks DRM-free. Think seriously about the choice of ereader you are using and what the long-term impacts will be. If you are an author, ask your publisher if you can make your ebooks DRM-free... or consider another publisher... or consider self-publishing without DRM. Raise this topic with others, so that they can be aware of the choices they are making when they use ereaders and purchase ebooks. The future of ebooks is in OUR hands, as readers, authors and publishers. Let's make it a good one! Mike Hendrickson at O'Reilly Radar: DRM-Free Day, forever. - Authors and publishers need to get creative with piracy. DRM isn't the answer. I particularly liked this line of Mike's post: "Obscurity is more of an enemy than piracy." Tim O'Reilly expanded on this point way back in 2006.